2015 should be a big year for us travel wise. We have two trips already planned and three more in the works! First up, we’ll be heading to Austin, TX in March for a family vacation. Why did we pick Austin? We wanted a warm weather location with a short-ish flight (this will be Matteo’s first flight with his own seat). 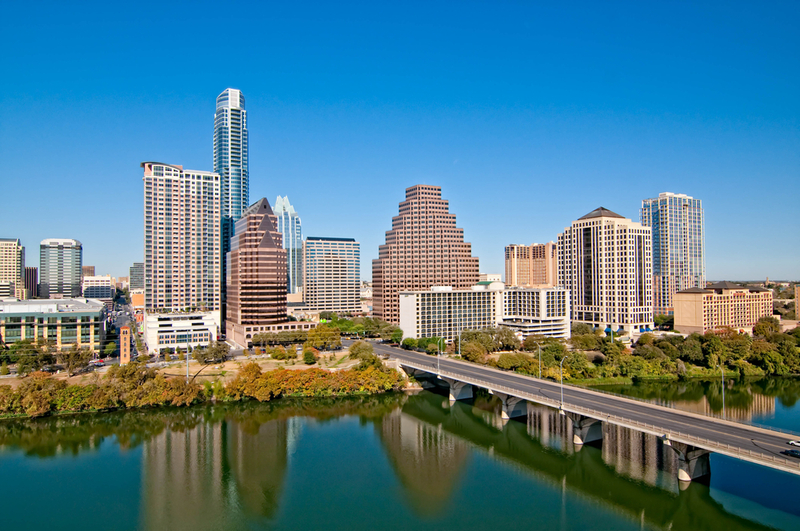 I’ve heard some good things about Austin in general — that its a cool city with plenty to see, do and eat. After checking out a few other city options, Tony agreed that Austin seemed like a good choice for us for our first family trip of the year. So now we plan! We’ll be arriving in Austin on a Saturday and leaving the following Thursday. That leaves us 4 full days to fill with fun. 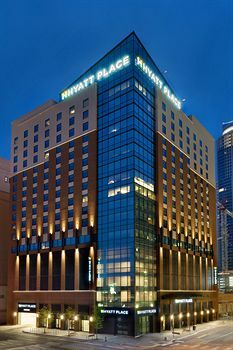 We’ve booked our hotel and will be staying at the Hyatt Place Austin Downtown. Free WiFi — The Hyatt Place Austin Downtown, like most downtown hotels, caters to a business class clientele. That means we can pretty much count on great WiFi everywhere in the building. This is a must for us because if all else fails, Matteo will be endlessly entertained by watching Wild Kratts or Cailou or Arthur via our Hulu Plus app on our iPad. Spotty wifi makes for a cranky kiddo. Judge away, but we’re not above utilizing screen time to keep him happy and calm. Free Breakfast — I can’t tell you how important this one is. In addition to saving us $$ in the grand scheme, the convenience of a hot, continental breakfast in your hotel cannot be overstated when you have an early bird kiddo. Since both Tony and I work, Matteo has to be up early on the weekdays — and his 6:30 am wake up time carries right on in to weekends and vacations. When he wakes up? Boy is hangry. Having the ability to jump out our room and to the lobby for a quick breakfast without wrangling the whole crew for a restaurant outing? Perfection. According to other family vacationers on TripAdvisor who have stated at the Hyatt Place Austin Downtown, the breakfast is pretty excellent. So I’ll be looking forward to that. Central Location — This should go without saying, but really the most important consideration when booking a hotel for a family trip is location! You want to be close to everything — restaurants, sites, shopping, etc. Ideal locations include when you can get by with just a stroller. We’re still debating whether to rent a car for a day, but staying downtown puts us mere blocks away from +200 restaurants, a 10 minute walk to the beautiful state Capital, a 5 minute walk to Lady Bird Lake, and only one mile to the University of Texas. Austin Nature & Science Center – A 10 minute drive from downtown, this kid-friendly museum has hands-on activities for little ones. At 2, Matteo will be on the young side of the target demographic, but this still looks like a great option to check out. Thinkery, the new Austin Children’s Museum – A museum created with kiddos in mind, this place looks awesome. A workshop, a kitchen, painting, a light lab, etc. Again, the museum is 10 minutes from our hotel. Texas Governor’s Mansion – I think this one looks like fun! According to Google maps, another 10 minute walk/bus ride will take us to the Texas Governor’s Mansion where we can schedule a tour. According to the website, tours must be scheduled at least one week in advance, but are free. We love free! Zilker Metropolitan Park – This park is supposed to be amazing, with a miniature train, canoeing, and a HUGE playground area with picnic tables. Matteo loves nothing more than being outdoors so this park will be a must-do on our list while in Austin. Are there any Austin, TX experts out there that can tell me something that we MUST SEE while we’re in town? Let me know — we’d hate to miss out on something great! *Tip for traveling with little ones – Another important extra to look for when booking a hotel? SHUTTLES! A lot of downtown hotels offer shuttles for their guests to hit up area hot spots. Inquire with your concierge prior to arrival to see if this is something that your hotel offers — and plan ahead with a car seat for your little(s) if needed.